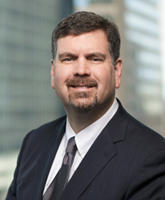 Jim Archibald is a partner in the firm's Construction and Procurement Practice Group. Jim has represented general contractors, owners, developers, engineering firms, subcontractors and vendors at every stage of a construction project, including the initiation of the project, the preparation of contract documents, bid preparation, bid mistakes, bid protests, change order negotiations, project correspondence, claim preparation, terminations, and final dispute resolution through negotiation, mediation, arbitration or trial. Jim has advised clients on public and private projects, including projects administered by the U.S. State Department, the U.S. General Services Administration, and the Army Corps of Engineers. He has extensive experience prosecuting and defending extra work, delay, acceleration, impact, and inefficiency claims on private and public jobs. Many of these claims have exceeded $10 million, and have included claims by the general contractor and pass-through claims by numerous subcontractors. Examples include substantial claims by general contractors and subcontractors at the Madigan Army Hospital in Seattle, Washington; the McKinley Climatic Test Chamber at Eglin Air Force Base, Florida; the McWilliams Power Station Project in Gantt, Alabama; the Renovation of the U.S Federal Courthouse in Montgomery, Alabama; the Edwin Zorinsky Federal Building in Omaha, Nebraska; the U.S. Federal Courthouse in El Paso, Texas; the U.S. Consulate in Juarez, Mexico; the Kinston Regional Water Reclamation Facility in Kinston, North Carolina, and the Shelby County Water Treatment Plant in Shelby County, Alabama. Jim also advises owners and design builders on heavy industrial projects, and has handled multi-million-dollar performance disputes and defaults arising out of these projects. For example, he represented the EPC Contractor for the Blue Water Fiber Waste Water Treatment Plant in Port Huron, Michigan against claims by the owner and the bondholders who financed the project that the Plant failed to meet performance guarantees. Aspects of this dispute were litigated in Federal Court in Detroit, Michigan, and the U.S. Bankruptcy Court in Detroit, Michigan. He also represented the owner/developer of the AES Red Oak 800 MW Power Plant in Red Oak, New Jersey, asserting claims against its EPC Contractor for failing to meet performance tests and guarantees for the Plant in a major lawsuit in New York. Finally, he represented the contractor in performance disputes arising out of a Natural Gas Expander Plant in Philadelphia, defending against claims that the Plant failed to meet certain performance guarantees. Jim regularly handles cases involving construction defects and disputes over insurance coverage for construction defects. For example, he represented the developer of student housing projects in Connecticut, Florida and Louisiana against water intrusion, mold, defective construction and defective design claims, and he represented the contractor who built the Charleston Judicial Center Complex in Charleston, South Carolina, against water intrusion, mold and defective construction claims. Jim has experience defending against these claims and trying to obtain insurance coverage to protect his clients against the claims. Recently, Jim has filed three successful bid protests arising out of U.S. Embassy Projects, based on the Omnibus Diplomatic Security and Antiterrorism Act of 1986.